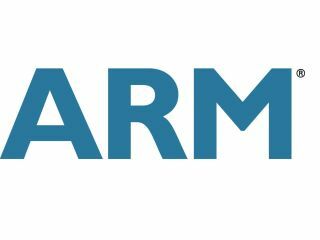 ARM has announced the new Cortex A15 MPCore processor that it claims could see smartphones running at 2.5GHz speeds. Tipped for use in the tablet, large-screen portable computers and home entertainment systems, as well as phones, ARM believes that this new core will help improve the next generation of gadgets. It's claiming up to five times improved performance over today's smartphone processors without diminishing battery consumption, enabling functionality like 3D navigation, augmented reality, high speed internet connections and HD video recording – all from your mobile phone or tablet. The Cortex A15 follows in the footsteps of ARM's successful Cortex A-Series, with a number of manufacturers using the Cortex A8 for high end smartphones, such as the Nokia N900. "The market's demand for more functionality and connectivity with low power consumption requires ever more advanced processor, system and chip design," said Yiwan Wong, VP of SoC marketing, system LSI Division, Samsung Electronics. "We believe this new Cortex-A15 MPCore processor core from ARM, with its quantum leap in processing capabilities, will successfully enable many next-generation electronic products and redefine the level of experience consumers will demand from their smartphones and mobile computing devices." As an advanced lead partner and first licensee of the Cortex-A15 MPCore processor, we look forward to leveraging the Cortex-A15 core to deliver industry-leading processors that will provide the high performance demanded by the next generation of connected devices, all within a low power envelope," said Remi El-Ouazzane, vice president, OMAP platform business unit, TI. "When pairing the Cortex-A15 MPCore processor with TI's SmartReflex 3 technology, future OMAP applications processors will yield a 60 percent reduction in power, enabling TI to continue delivering the industry's most energy-efficient, high-performing solutions." The new ARM Cortex A15 is available for licensing from today, and in 32nm and 28nm manufacture, as well as future size specifications.